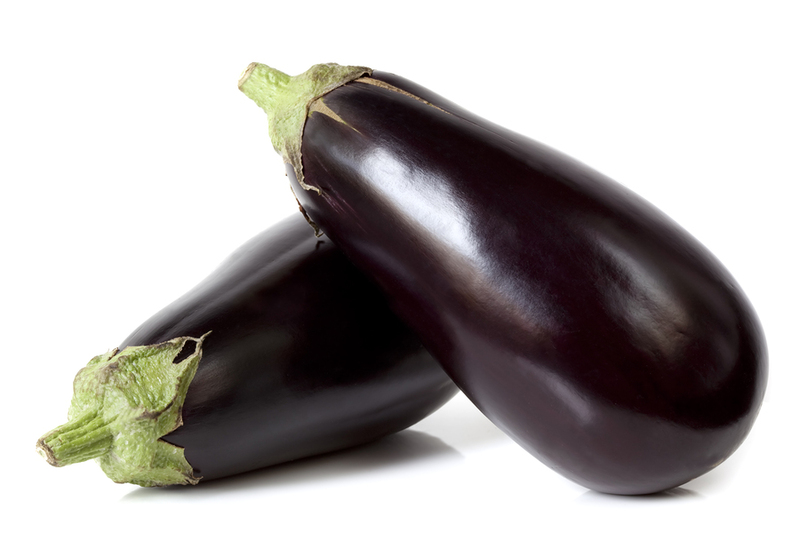 Eggplant generally should not be refrigerated because the low temperatures can damage the texture and flavor. Eggplant should be stored at room temperature, although it may be kept in the refrigerator 1 to 3 days if used soon after removal. Keep eggplant in a cool spot, away from direct sunlight, and use it as soon as possible. You can place it in a vented bowl, but avoid sealing it in a plastic bag, which can increase decay. Eggplant is a good source of Vitamin C, Vitamin K, Thiamin, Niacin, Vitamin B6, Pantothenic Acid, Magnesium, Phosphorus and Copper, and a very good source of Dietary Fiber, Folate, Potassium and Manganese. The eggplant is believed to have originated in India, where it is considered to be the King of Vegetables. In Renaissance Italy, it was called a mala insana or “crazy apple”. Eggplants and tomatoes are actually related. They both belong to the nightshade family.